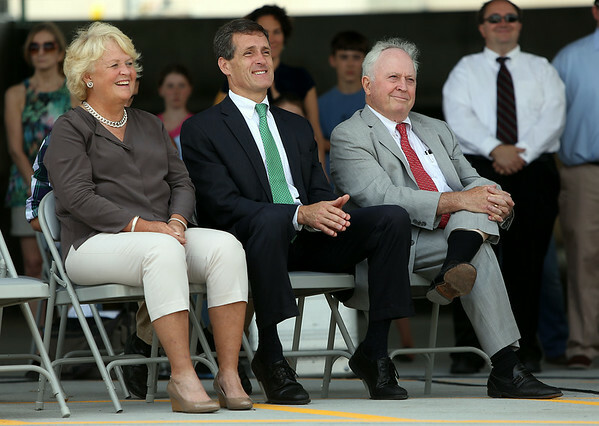 Former State Representative Mary Grant, Beverly Mayor Mike Cahill, and former Beverly Mayor Bill Scanlon, smile as Governor Deval Patrick makes a joke during a ribbon cutting ceremony to open the new Beverly Depot Parking Garage. DAVID LE/Staff photo. 8/1/14.